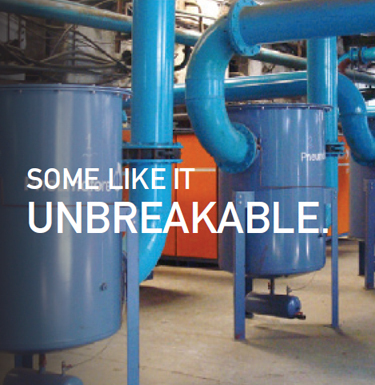 The hollow glass plant in Lagnieu, France, presented an important challenge to Pneumofore early 2006, since a high-capacity vacuum system with more than 6000 m3/h had to be installed in a relatively small area. Pneumofore has supplied over 40 vacuum pumps operating at Saint Gobain plants worldwide for the moulding of glass containers and for the production of tiles and bricks. Some units have been in operation for more than 25 years. 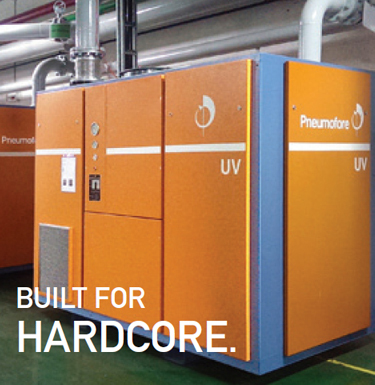 The water-cooled models V70 and V100 are gradually being replaced by Pneumofore’s modern generation of air-cooled UV series vacuum pumps. Popular are the models UV16 with 22 kW for 1000 m3/h, UV30 with 45 kW for 1800 m3/h and UV50 with 75 kW for 2700 m3/h. In glass plants, the pumps alone do not cover the entire need, they are normally combined with dedicated accessories such as receivers and demisters to avoid the moulds’ lubricant from entering the pumps. 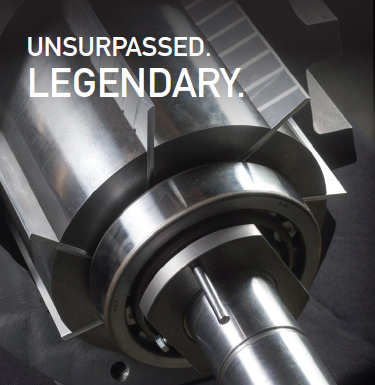 Experienced technicians at glassworks realize the vast amount of work required for preparing new production lines. Vacuum supply must be reliable, trouble-free, easy to install and integrate in the factories’ central control system. 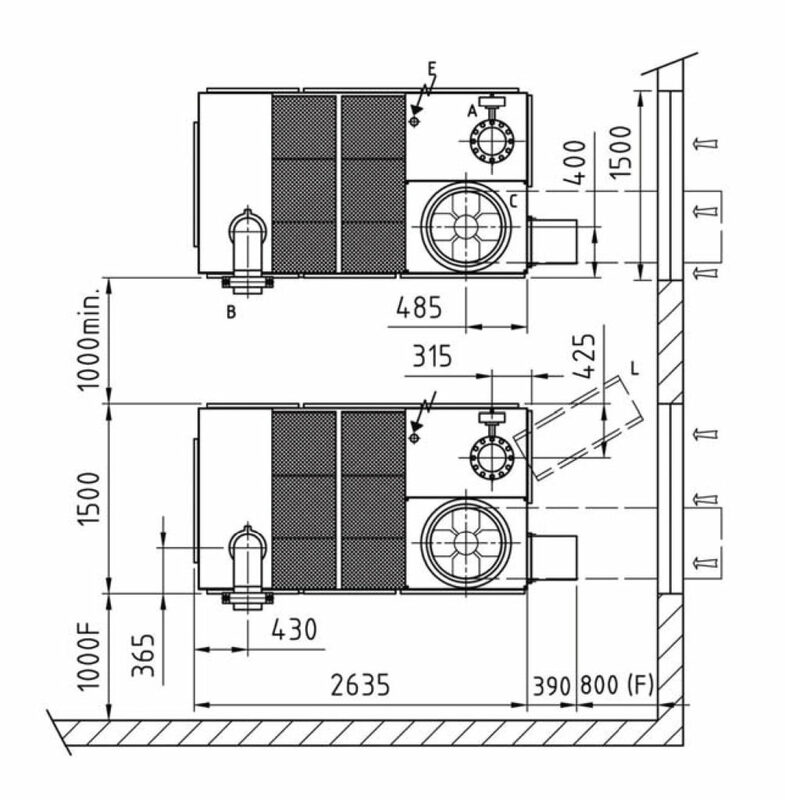 The best possible solution would require no special foundation, no cooling water circuit, no separate soundproof cabinet or electric control panel. 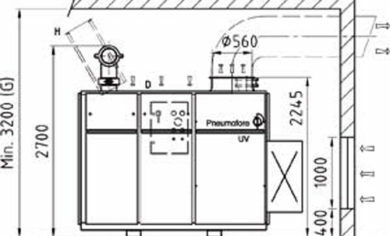 Two model UV50 vacuum pumps driven by frequency converters were chosen, since the experience with several other UV machines in Saint Gobain plants worldwide proved more than positive. 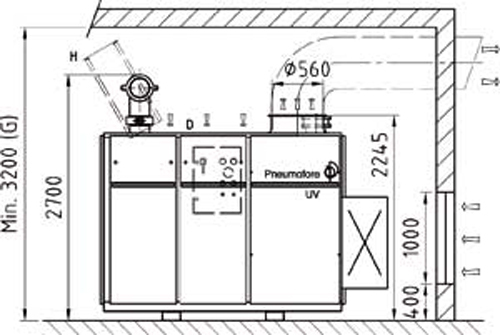 With air-cooled UV units, cooling water circuits are unnecessary. The UV pumps are ‘plug and play’ and require minimal work for installation and start up. By constantly adapting the total capacity to the application needs, this solution with just two pumps driven by frequency converters precisely matches the requirements and specifications determined by this important customer.